If this recipe entices you, well you’re not alone. 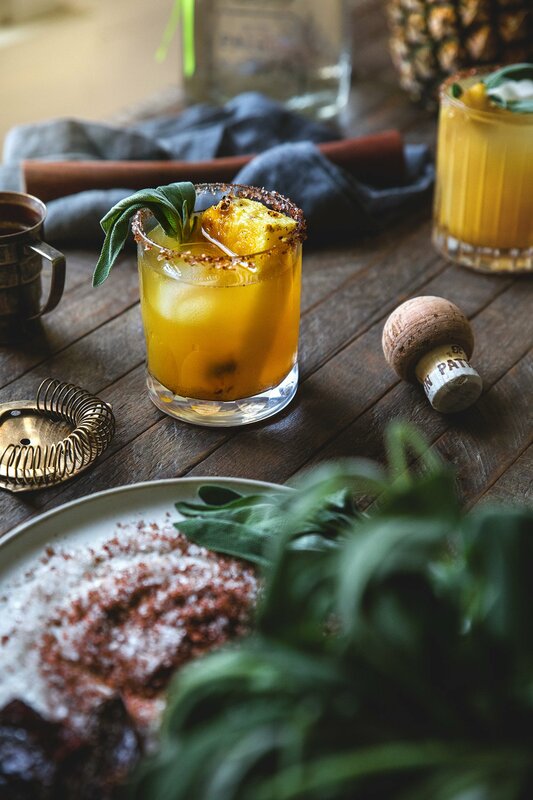 The High Plains Margarita has been nominated for Patrón’s Margarita of the Year competition!! 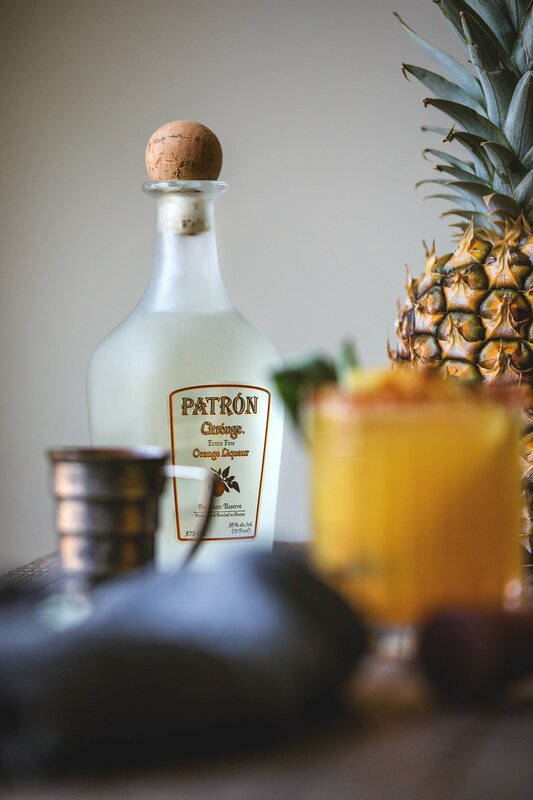 That’s right, Patrón searched the globe for seven delicious margarita recipes, which are all now battling head-to-head for the right to be called Margarita of the Year. 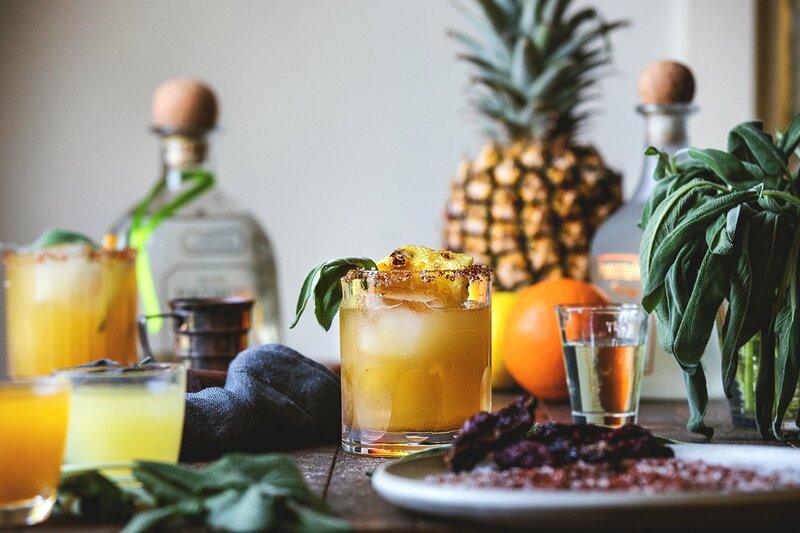 The best part is that YOU get a chance to vote for your favorite (hint, hint, High Plains Margarita . . . 😉 😉 )! Annnd I’m proud to say that as of this writing, the High Plains Margarita is in the lead!! 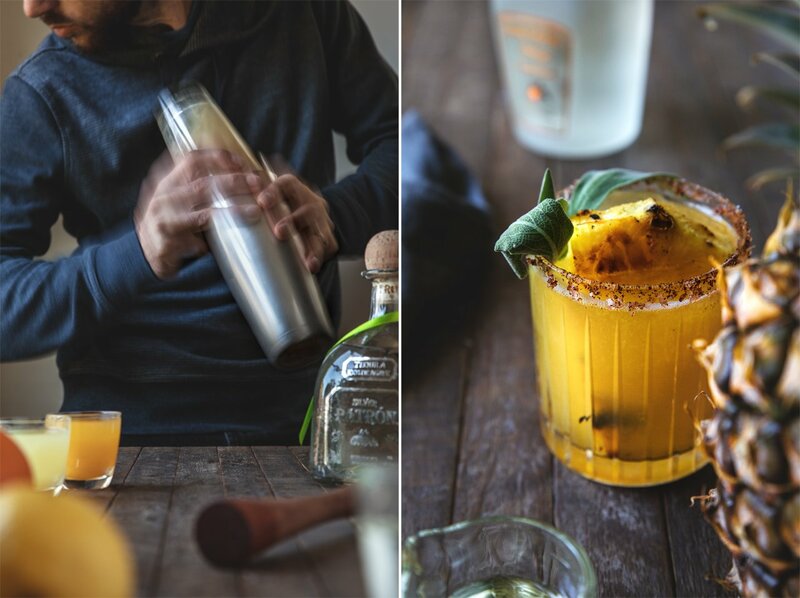 If you too agree that sipping this deliciously smoky, herbaceous cocktail while gathered around the grill with friends sounds heavenly, then help it secure victory by voting now! 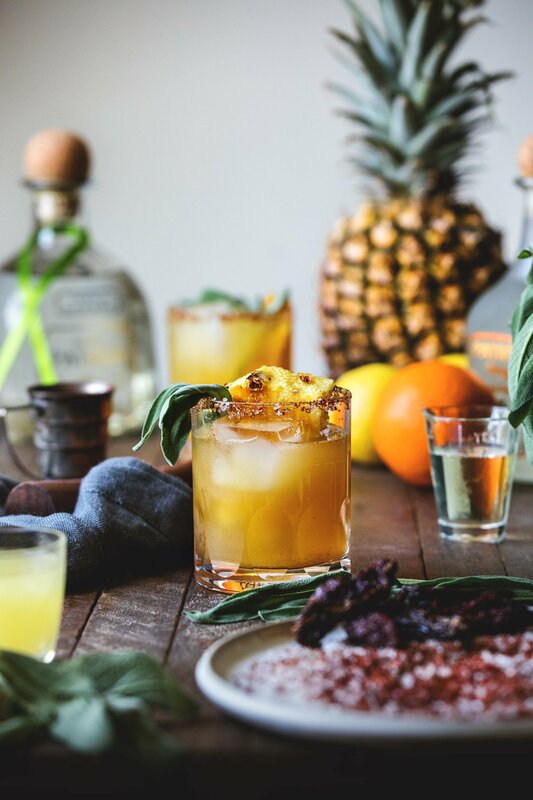 Or, you can vote on Instagram or Twitter by using the hashtag: #HighPlainsMargarita. 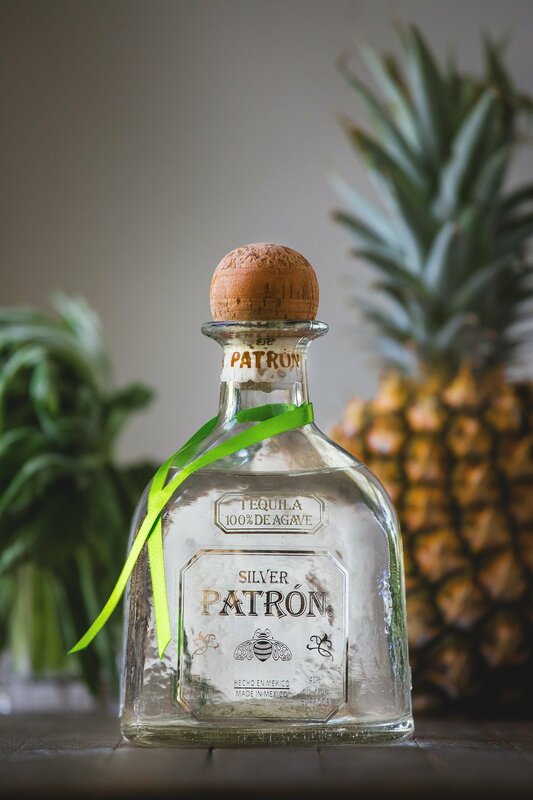 And remember, the perfect way to enjoy Patrón is responsibly. Cut a few wheels of pineapple and place on a hot grill. Cook pineapple on both sides until pineapple begins to char. Remove from grill, let cool, and cut into one-inch chunks. 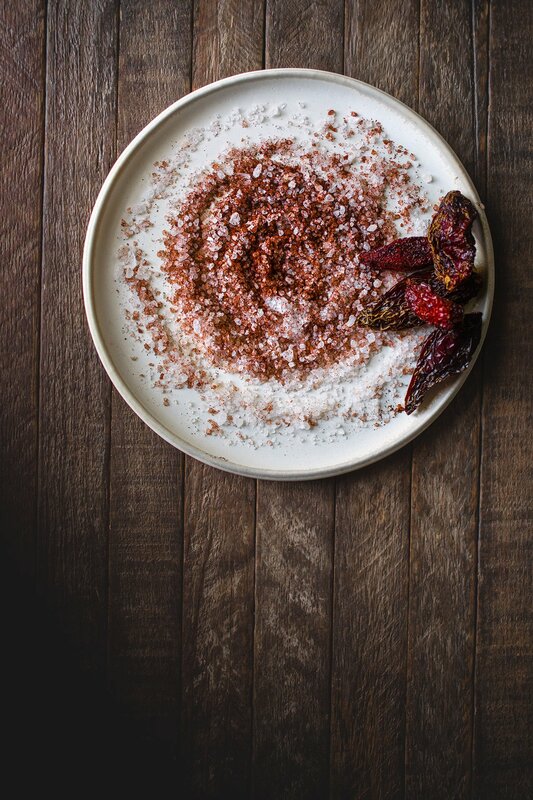 On a small plate, mix the coarse salt with the dried chipotle powder. 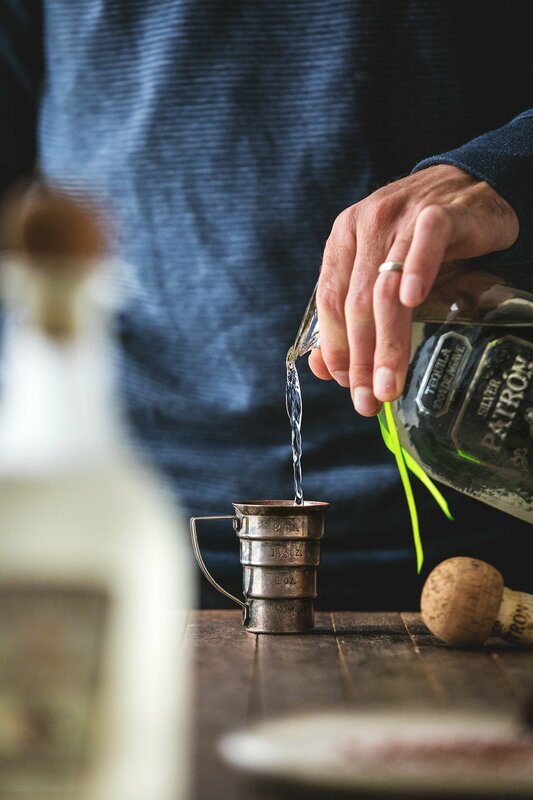 Cut a slit in a lime wedge and run it around the rim of a rocks glass, then dip the glass in the chipotle salt to coat the rim of the glass. 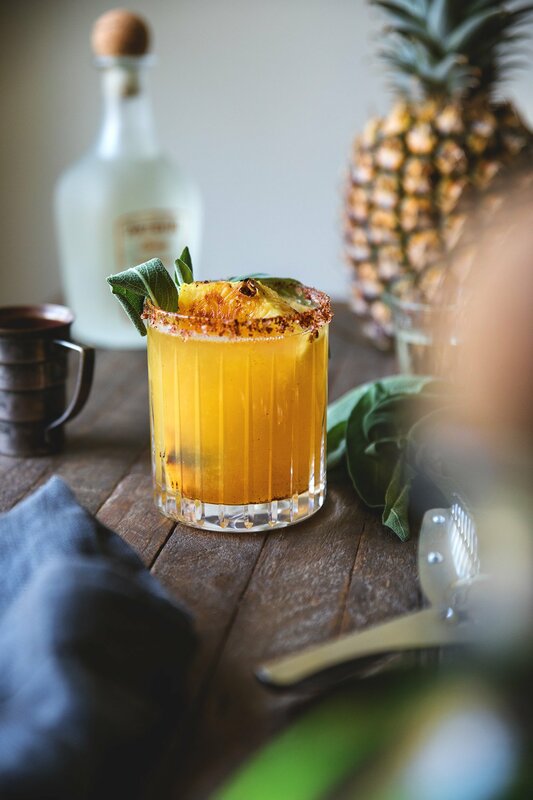 In a mixing glass, combine 2 pieces of grilled pineapple, 4 sage leaves, simple syrup, and muddle. 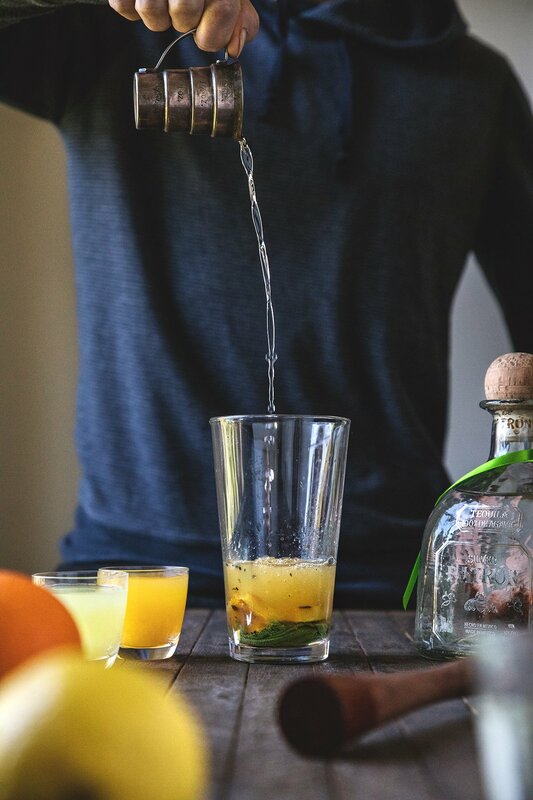 Add lime juice, yuzu juice (or lemon/orange), Patrón Citrónge Orange, and Patrón Silver, top with shaking tin, and shake vigorously with ice to chill. 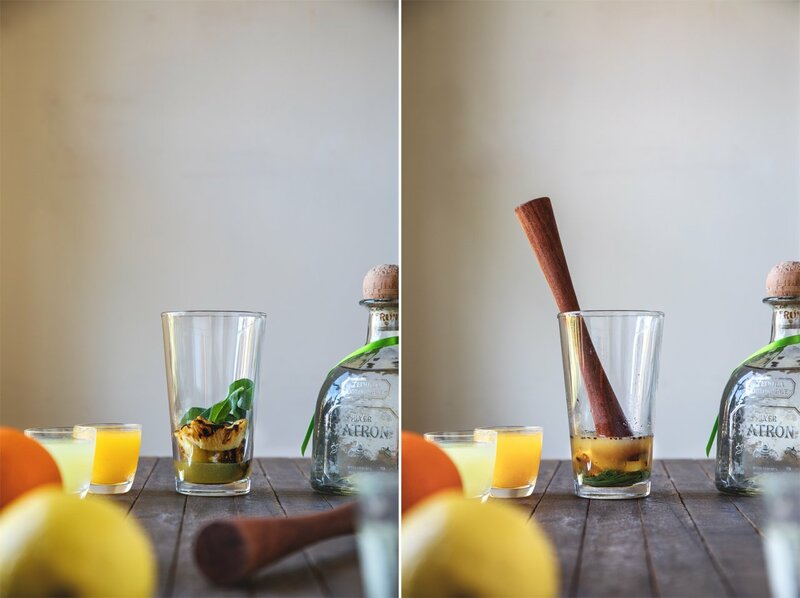 Double strain into the chipotle salt-rimmed rocks glass over fresh ice. 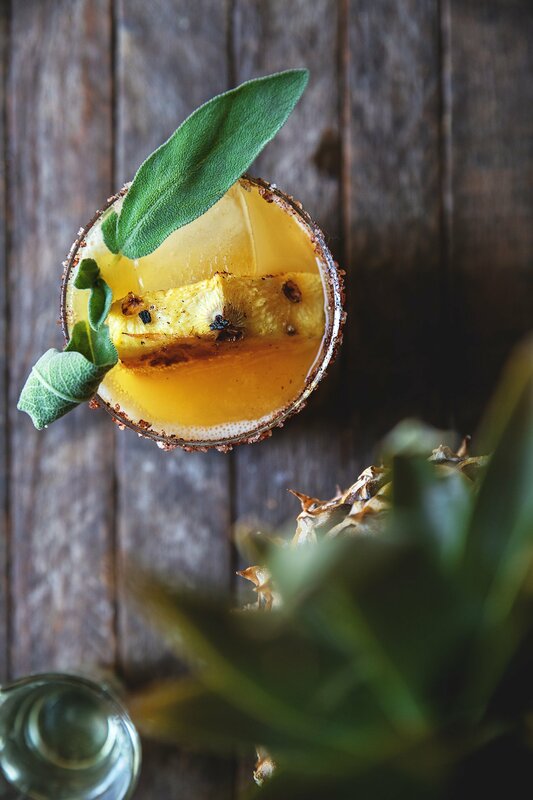 Garnish with a slice of charred pineapple and a sprig of fresh sage. This may sound crazy, but I love your measuring cup/jigger! Cocktail of the year all the way! 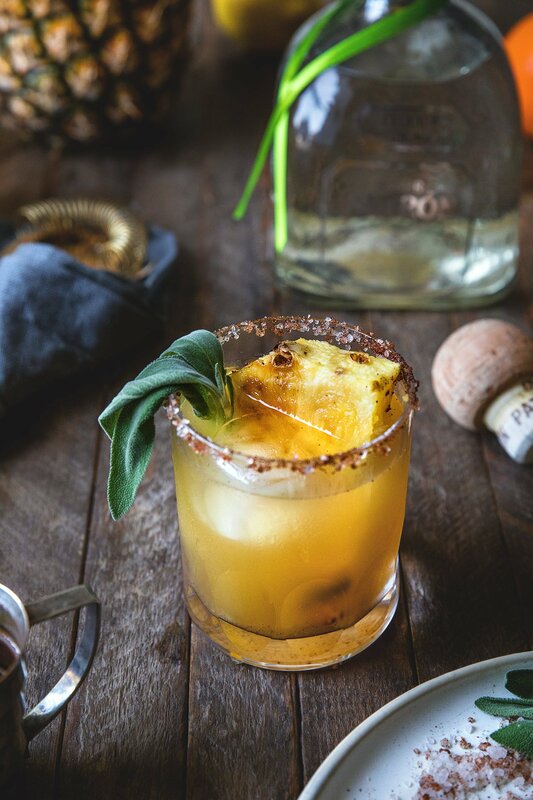 Pineapple and sage are a total winning combo. This flavor combination sounds absolutely incredible! I do not usually drink alcohol, but I can tell the thought & care you put into creating your amazing concoctions! Congrats on your new home! Congrats on settling into your new home! I also set up photography shop in our bedroom – takes care of that ‘how to decorate’ problem. 😉 This margarita most certainly has my vote! Charred pineapple! Congrats on the new house. This drink looks and sounds SO good. 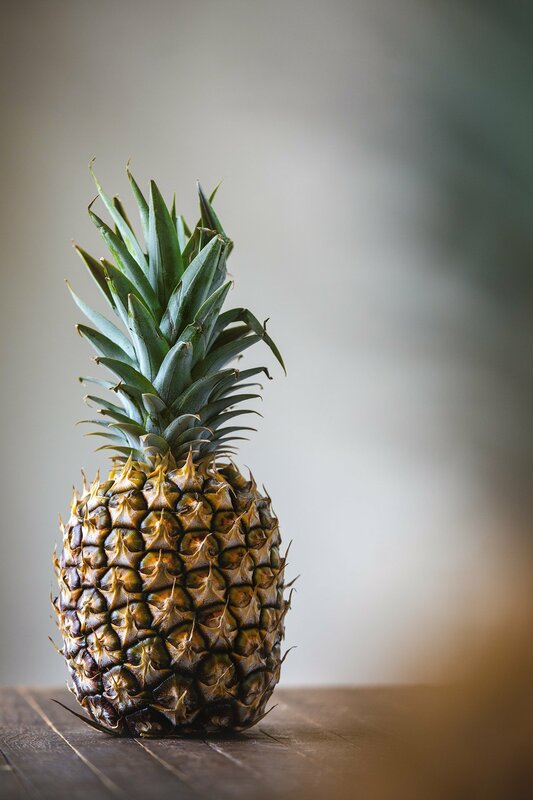 Charred pineapple is genius idea! OK I really just came here to pin this but then I spent a good ten minutes trying to choose which of these gorgeous images to pin. Then I saw yuzu juice and nearly died. In a good way. All before my morning coffee. Lol!! Awwww, you’re too sweet! Thanks for stopping by, Christine. your new place sounds lovely!!! are you still in the east bay? Congrats on your new home, and i think everyone should have a bar in their bedroom! Especially to make these stunners! Ha!! Thank you Rachael. That sounds like a good name for a spinoff blog – Bar in the Bedroom!! Isn’t settling into a bigger space the best feeling ever? Congrats for your new home! And this cocktail sounds totally delicious. 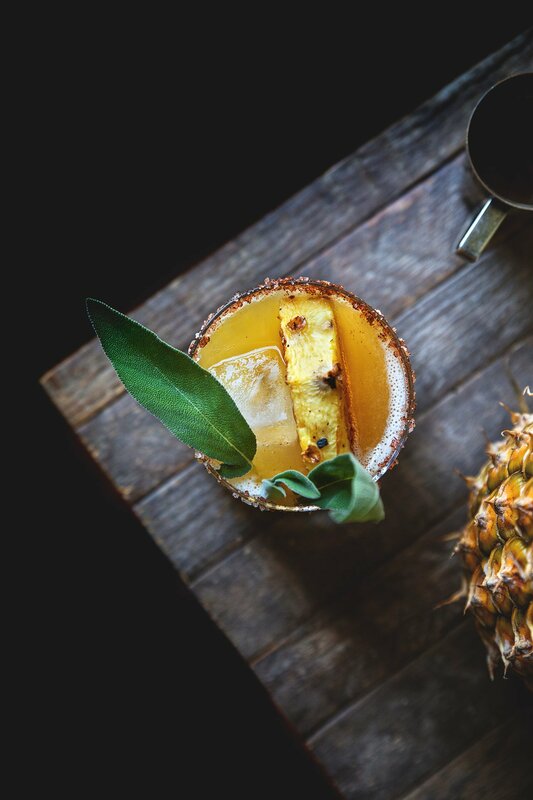 I don’t usually drink and I’m not even a huge fan of pineapple, but there’s something in the combo of ingredients that makes me crave it! Pinned! Thanks so much, Valentina!! The space is definitely bigger, except that the only closet is in our daughter’s room, so I’m anxiously trying to figure out where all my photography props are going to live. And you’re totally right, this drink definitely elicits some serious cravings.. 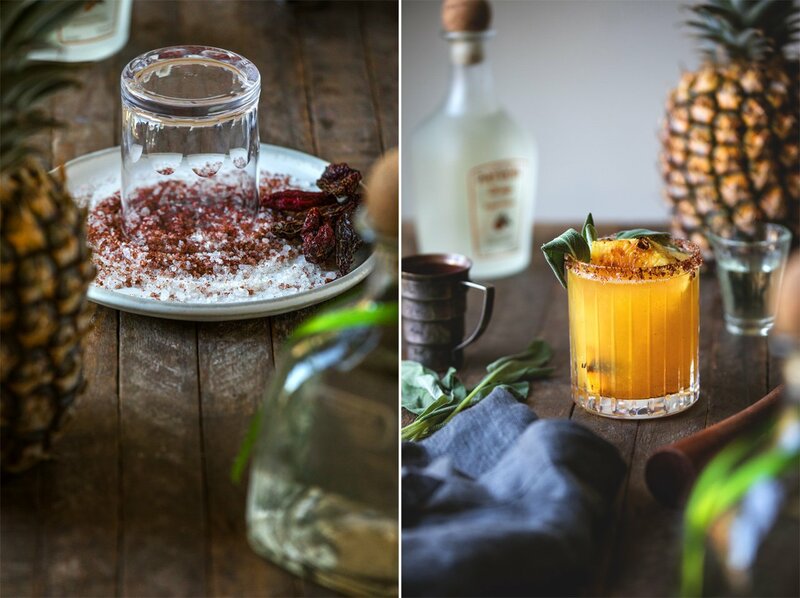 I love this cocktail, and these pictures are beyond stunning. I’m very partial to the High Plains – that mix of smoky, spicy, and sweet is on point. And congrats on the move! I don’t what to be more jealous of – all that space and light or your well appointed yard! Jumping for joy w this one! Damn!!! The recipe and ingredients are inspiring and perfect, the photography, artistry and execution are stunning/spectacular!!! Bravo Todd and Honestly Yum. Gonna have to get a pineapple and fire up this grill. Definitely gotta try this! Oh, and duh, got my vote fasho! Awesome! Thanks so much, Adam! I will say, it’s not that difficult to make a drink with all these lovely ingredients look good 😉 Thanks for your vote. I hope we win!! Cute glass you used in this post. Where did you find them? Oh Man, this brings me back to some old school fun times. Amazing photos! Going to be fun to taste. Yum!!! So happy you guys are all settled and congrats on the new house! This margarita thought?!?! All of favorites. Cannot wait to make it! Thank you Tieghan!! 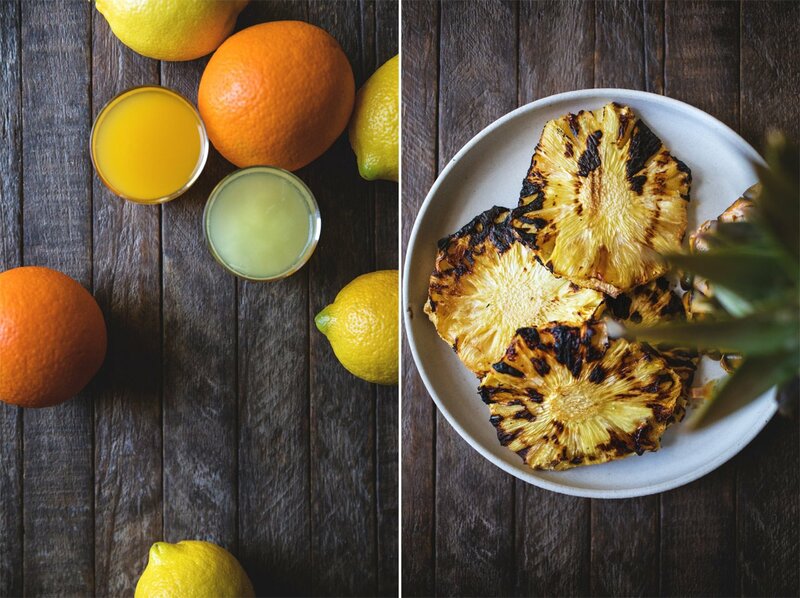 And yes, I’m SO addicted to grilled pineapple – definitely a winner! !